xorg.conf file will be located at /etc/X11 folder. 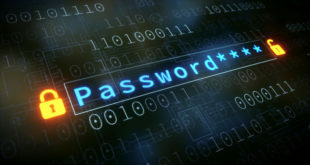 Note: 129deb3c-0edc-473b-b8e8-507f0f2dc3f9 UUID would be different for every PC. Use your one here. Save and exit. Then reboot. 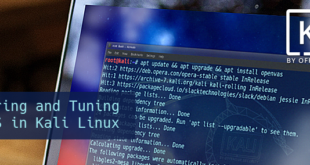 Once you reboot, your should be able to login in GUI and enjoy your AMD ATI proprietary driver (fglrx) in Kali Linux 1.0.6 running Kernel version 3.12.6. That’s because Virtual Machines can’t see or directly use physical Graphics cards. That maybe correct, but your Kali thinks differently. You need to remove existing drivers and retry. You might also be missing some lib files such as lib-ati-dri which you have to install. Hi there, thanks for the guide. I have the Gallium drivers and not the amd drivers. Same instructions applies to you like azan. You need to remove existing drivers and install missing lib drivers. As you can see, your Kali is using MESA drivers for display and that's what we are trying to replace with fglrx. I proceed to apt update, upgrade and dist-upgrade. Then kernel is 3.12, lsbrelease replies as expected (1.0.6). At this point nothing but the default drivers are installed. Then I follow the instructions from this howto and I also get Gallium 0.4 and mesa when querying fglrxinfo. Which packages should I have removed or installed previously? Any hint? I use a AMD Radeon 7600M (same as you, I guess). Thanks for the guide and your efforts. I had the same issue. I pressed on with the guide and everything ended up working. Gallium drivers seemed to sort themselves out. pd.. Might create a tutorial to properly install a Driver Realtek 8187L on Kali. realtek RTL8187 driver only supports kernel versions 3.0.0/3.1.0/3.2.0 and what I understand, kali kernel 1.0.6 is 3.12, then should not have problems to install it? T3mplar has commented that the 3.7 kernel in its kali. So I do not understand. Wikidevi is the best resource for this type of issue. started with this guide here. [ 3.167] (II) fglrx(0): VESA VBE OEM Vendor: (C) 1988-2010, Advanced Micro Devices, Inc. So which driver I am using? VESA or AMD? thanks for your help and reply! Does someone have more information about my VESA Problem? There isn’t nothing wrong with that. As long as when you run fgl_glxgears or glxgears and you get the graphic, you are good. [ 68.051] (II) fglrx(0): VESA VBE OEM Vendor: (C) 1988-2010, AMD Technologies Inc.
How about hibrid graphical card (intel/ati) on notebook? i have an issue here with the instalation . how do i solve this or if it can be solved then how to return back . ok , thanks for the reply . i was already suspecting that , this laptop is from 2007 , and i only use it for network audits . kali.org forum needs people with your experience to help others from time to time . 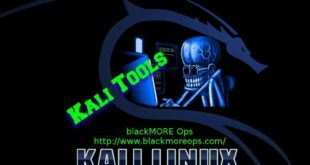 thank you for all the advices you give about kali , and for this excellent website . Best of all and please continue with your excellent work on the website . Just work like a charm ! after reboot did fglrxinfo again this time i did get the output that you had so knew all was good..
this is a hard machine not a virtual machine.. This is actually an interesting issue, I saw few people who are not using VMWare but still Kali thinks it’s a VMWare Gallium driver. One of the users commented (I can’t remember which post) that he had to do a complete reinstall to make it work. Perhaps Kali forum can help a lot more here as I personally haven’t experienced this issue. Hard to troubleshoot these issues when I got nothing to test against. Good Luck and thanks for your comment. Cheers. Are you using 64bit installation? I got exactly the same output for “fglrxinfo” as azan. Also the popups never showed up for me, too. But no error was reported. I followed your guide an a complete fresh installation of kali 1.0.6 on a workstation with a amd firepro w8000. I found no existing drivers to be removed in advance. Also I got no idea, what additonal libs you mean. I am not sure about FirePro w8000. Is it even a supported card? If yes, I see no reason why this guide wouldn’t work! Do some research on whether your card is supported by AMD for Linux (fglrx) drivers. Nice guide, with nice errors..! Explain why “radeon.modeset=0” should be added to the boot.cfg? I did follow this guides and had lot of errors and damaged the grub. What u talking about, Grub 1 or Grub2? How ever, on my Grub 1 (20GB partition) I DON’T added the moddeset and all works fine! On Grub 2 I FIXED my grub.cfg REMOVING the radeon.modeset=0 from the grub.cfg! So just do the whole procedure without touching your grub if you got problems after this install – make aticonfig and that’s all for the AMD Catalyst Install. Of corse –>modeset, NOT moddeset – I think you will be able to notice this “syntax error”. Next I will comment on “cal/cpyrit” – same story there, some steps you should NOT do if you get errors, and not working situation. I’ve done now over 13 Kali installs, and had every time a “new situation/surprise” – also with Grub (will it boot, or spit errors?).. You add the parameter cause fglrx doesn’t automatically blacklist radeon drivers(NVIDIA does that hence we don’t pass parameters to grub anymore for nvidia cards). I fail to see where Kali Linux installs both Grub and Grub2 cause that would be just nonsense. Lastly, where did you see that syntax error? Hello !Need help . Install driver this manual . All work .rendering yes . steam and playlinux show error opengl 32bit library . ia32-libs installed . what to do ? thank in advance … sorry i noob . Commented on a previous post earlier by mistake. As soon as I apply step 6 I run into major graphical issues wih Kali, my screen shunts to the left and has a number of lines through it, and my code (not including UUID) isn’t the same as yours, it’s missing the entire initrd=/install/gtk/initrd.gz quiet section. Also your before and after code in step 6 is identical. I should probably give you my lspci, would be helpful…. Your card is exactly same as mine (on my Laptop – Radeon 7500M/7600M Series). Unless your Kali Linux installation is heavily modified (i.e. you tried linking lib and GL.so like some of the forums/blogs claims to fix their issue, and got PPA or unofficial repositories added), I see no reason why this solution wouldn’t work. Also note that I use Kali v1.0.6 64-bit and I can’t confirm if this solution would work for 32-bit. (though package names are same but as AMD provides the driver, it is upto them to provide a standard solution for both 32 and 64 bit). p.s. I’ve fixed the little code issue on Step 6. Thanks. Sharp eyes indeed. I’m running the 64 bit but I was running the EFI boot. My Windows 8 partition and Kali partitions have both completely bricked themselves now so I’m planning on a full system “legacy” install now of Kali and writing windows 8 off as a loss as both my recovery partitions are either suddenly missing or locked. Just press, CTRL+ALT+F2, Login as root now (you’ll be in ttys2), rename this file mv /etc/X11/xorg.conf /etc/X11/xorg.conf.bkp. Then reboot. You’ll get your GUI back. Welp I’m running Intel Integrated Graphics. What should I do in this situation? Nothing much. OpenCLI is an option but Intel driver’s aren’t open source. So it won’t do you much good as far I am aware. Mate, you’re using an Intel card not AMD/ATI. Need to get 14.1 MB of archives. After this operation, 39.5 MB of additional disk space will be used. Check your Repositories, you’re probably missing a few official ones. Guide is in my website. Any idea if this will work on Kali 1.0.7 / Kernel 3.1.4? I haven’t had time to check yet. Will get back on this one soon. Doesn’t look like it – Thought I’d give it a go last night… the gears app worked (dead slow 299 frames p/5s) until I rebooted then got errors when I tried to run the gears app… Some posts saying that their beta driver goes up to 3.1.3 but nothing on 3.1.4.
how can upgrade from kernel 3.7 with patched fglrx drivers to the newest one 3.12 or 3.14 and graphic drivers too, because when i upgrade the kernel throws me in tty after reboot no gui, i asume its because of patched drivers. Please help. i have been trying for months now i’ve tried on vmware i tried on dual booting i tried every tutorial i could find i always get no drivers detected plz help i’m using a hp g61 33nr notebook with amd 4200 legacy series i removed old drivers i tried everthing you suggested to others i didn’t want 2 bother you but i’m DESPERATE PLZ PLZ HELP!!!! Update just found on AMD site catalyst 13.1 supports notebook HD radeon 4100 series. VMWare doesn’t use ATI card, it uses a Virtual Graphics card. To use this guide, you MUST install Kali in Physical hard disk (or a Persistent USB). It will show you what card you got (ATI or any). Follow this guide only if you have a ATI card. Also, if you think you card is too old, then go to AMD website to confirm if FGLRX actually supports your card anymore. Some of the old cards were dropped from supported list. Sir I applaud your great work and commend you on your efforts. Myself if not for the Obsessive compulsive disorder would have been bald or dead by now. Having downloaded the cpyrit_calpp from sourceforge I am able to see the explanation of the line titled Edit setup.py file and modify/replace the followings: find VERSION = ’0.4.0-dev’ and replace with VERSION = ’0.4.1-dev’ find CALPP_INC_DIRS.append(os.path.join(CALPP_INC_DIR, ‘include’)) and replace with CALPP_INC_DIRS.append(os.path.join(CALPP_INC_DIR, ‘include/CAL’)). ATI/NVIDIA on same Computer? On-Board card will be disabled when you’re using PCIe card. (just like Intel/ATI or Intel/NVIDIA combination). Even if you manage to install both drivers (NVIDIA CUDA and ATI FGLRX/SDK), you can only use 1 card at anytime. If I remember correctly, it’s a Motherboard settings that controls how they behave. Thx for your guides. Got Nvidia Cuda working. Now fighting with ATI. Could you advise on the ATI legacy drivers install? Have 2x 4890s that I’d like to get working. I was able to install ATI legacy drivers with functional fglrxinfo + fgl_glxgears following this other guide. However Radeon listed as module and not fglrx. Then following remaining part of this guide for AMD SDK/ CAL++ resulted in Pyrit still not find GPUs. Couldn’t get Kali 1.0.7 to play nice with legacy ati drivers. Switched to Debian 7.5 drivers/CAL+ played nice. Thank you very much!!! I didn’t encounter any problem… Now may GNOME FALLBACK is fix! I am using now the full GNOME3!!! This TUT is very coooollll!!!! I got a message after running the “apt-get install fglrx-atieventsd fglrx-driver fglrx-control fglrx-modules-dkms -y” command that said I needed to go to the /usr/bin/aticonfig file to create a xorg.conf file, but when I navigate to /usr/bin the aticonfig file/folder is not there. Granted i’m using the most current version of kali (1.0.7), but this seemed like the most relevant guide. Any suggestion or tricks? everything worked perfectly before this point. Thanks. Did you try to remove old fglrx drivers? That usually helps. Can someone help me? I am running kali linux 1.07 and I cannot seem to install the video drivers I just get errors when I run the fglrxinfo and fgl_glxgears I am told I do not have drivers installed despite running each one of the install commands in terminal as root user. Could you maybe make an updated tutorial or someone tell me what to do? You’re on virtualbox or vmware? Hi. Usefull manual but i ther is a problem. I have a laptop with radeon hd6400m and new driver (versions higher then 13.4) does not work properly (display backlight turns off), so i need ATI driver version 13.4 (or lower). How can I install older version? im using a hp elitebook 8560p how do i know if i got an amd or nvidia??? lisa, “lspci -v | grep VGA” will show your card details. Hey blackMORE Ops! Big thanks for this guide. Everything works pretty damn good, like a charm. I used Kali 1.0.7 with AMD 7850. Got issue with VMware driver in the end. The solution is really easy then, just reboot so the Kali can load proper drivers. Cheers! Using your help, i tried to install fglrx-drivers. After installing everything, fgl_glxgears box worked well, but i had the VMware bug with Gallium renderer string with fglrxinfo. So i tried to reboot… and got a blackscreen, which i removed by renaming the xorg.conf. All the people who had Gallium related issue ended up reinstalling (Fresh Reinstall) and installed AMD Drivers first (including dependencies but excluding update/upgrade/dist-upgrade). I am not sure why this would happen as I got a similar config (Hybrid AMD/Intel) and mine worked no matter what. As for this GLX error, usually it goes away once you’ve reinstalled mesa-utils. You are on the right track as far I can understand. Good Luck. 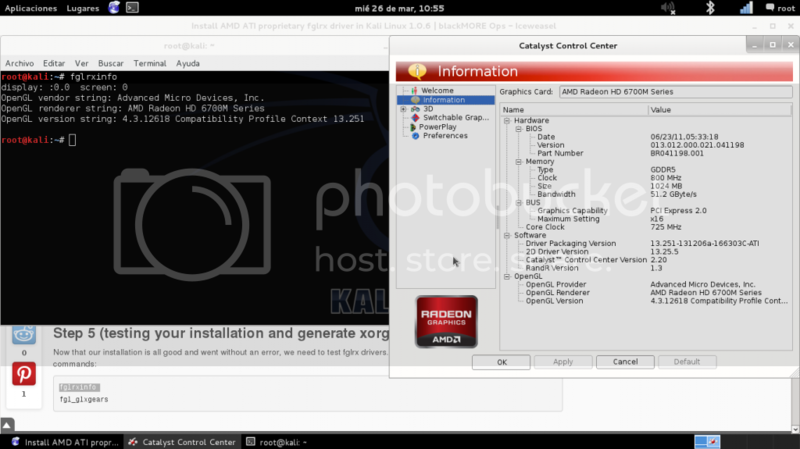 aticonfig is a command, installed with driver. Xlib: extension “GLX” missing on display “:0”. Error: couldn’t find RGB GLX visual! I ended up purging my system of fglrx* just so I can change settings and themes. I am now just using the default drivers. None of the fixes here have helped so far. Purge all fglrx driver and reinstall, that fixed similar issues for many users. I have never tried on a persistent USB though. Check lspci and modinfo to determine what card and driver used. Blacklist radeon drivers if not done already. Edit grub to set radeon.modeset value. got same problem here, also pyrit doesnt see GPU (but no could not insert ‘nvidia_uvm’ error); Kali 1.0.9..
Do you realize you are mixing guides for NVIDIA and ATI? ‘nvidia_uvm’ applies to NVIDIA cards, not ATI. This worked on 1.0.6 and will continue to work on any of the newer versions of Kali where you have kernel headers available. I thought it was quite clear from the Kali Forum posts (i.e. Kali dev team removed old kernel headers). 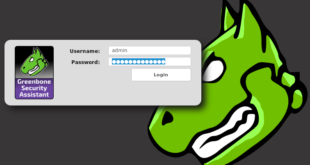 The instructions are solid to date and worked every time for the newer versions of Kali. I was hoping you could provide some advice on an issue I am having. I have the GPU accelerated pyrit functioning on my HDD, however decided to add the LUKS-nuke on a USB 3.0, the installation and the persistence seems to be working fine but am unable to find the grub.cfg file, infact the entire grub folder does not exist. I would imagine this is because the file system differs on a USB from a true installation on a HDD. That being said, is there an analogous file or folder for applying the “radeon.modset=0” change on a USB persistence install. 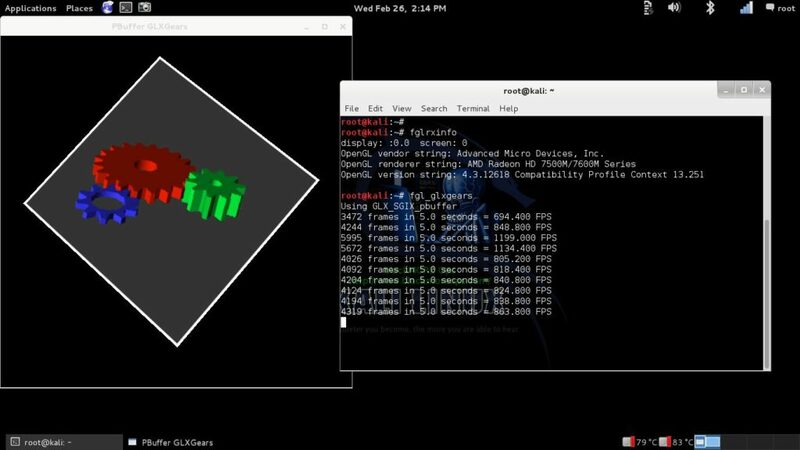 i just dropped by to tell you that it works on Kali 1.0.9 with R7 260X and to thank you for taking the time to post this guide. Hi! Your tuto is very nice and very clear. Great job! Fglrx installation goes well but when I run fglrxinfo, the results I get are about my integrated card, the Intel one. Moreover, when I want to launch aticonfig –initial -f, I am told that there is no supported adapter. Hi! I have a big problem… when i reboot my laptop: black screen, there i’m used your command: mv/etc/X11/xorg.conf /etc/X11/xorg.conf.bkb and rebbot, then when i’m tried to start ati catalist control center got an error: No AMD graphics driver is installed, or the AMD driver is not functioning properly. Please help me, sorry for my bad english! If it says no driver installed, then you’re doing something fundamentally wrong. What’s your output for “lspci -vv | grep VGA” ? Hmm. been trying this for a little while. Cannot seem to get it to work. Finally if i ignore that, and do aticonfig -initial then reboot, in 1.0.6 X failed to load with a leaving only simple prompt (not responsive)… at which point I revert the xorg.conf, reboot and i get it working again. I also did the same process with similar results on 1.0.9 but X fails just drops me dirrectly to ttyl1 instead of giving the no responsive prompt. I also tried installing the drivers dirrectly from the AMD site. This resulted in the same thing. Finally i fiddled with blacklists and nothing has worked. I guess i dont have a specific enough question to warrent the post, but if someone sees some glaring issue with what im doing perhaps they could poke me in the correct dirrection, that or maybe others are running into the same issue and need some conformation that the problem is not unique to them. Oh and both the ATI and AMD GUI’s fail with an error about not finding any drivers installed. Frustrating seeing as im on mobile bandwidth, and i have wasted many a mb on these repeated package downloads. I have got into the trouble almost several hours and try to search the Google etc but all get failed..Please help me,many thanks,many thanks ^_^. That should find anything even remotely similar to that package. Double check sources.list file. its obvious that it find the location of amd-opencl-icd ,and also i check the sources.list(just copy what you give in step 1 into the file).But may the god just does not agree…i still have the same problem…. 1. It happens when you’re behind a proxy server that caches or truncates contents. In your case, this is probably not the issue. 2. Your Kali Linux is not fully up to date. Run apt-get update && apt-get upgrade -y && apt-get dist-upgrade -y. Usually this is the most common problem. Also make sure you have the correct official repositories in your sources.list file. Update and upgrade will take time, so be patient. No, don’t allow anyone to remote into Kali Linux as they will have root access and can destroy your machine. Good luck. and then i modify the grub.cf as your guides,but when i restart my machine,it boots into command mode(i am not sure i have described it cleary ).i have no idea about with the command mode.Finally i found the solution in “http://support.amd.com/en-us/kb-articles/Pages/Catalyst-Linux-Installer-Notes.aspx” and i could login into grphics mode,but when i retry install the amd drivers,yes,and fail again. I have install the amd drive the whole day and reinstall the kali linux in my machine more than ten times and give up…may the god does not like me (she just let me install it successfully the first time :( )and i still thank you for your immediately reply.many thanks. linux /vmlinuz-3.14-kali1-amd64 root=UUID=2d7a1ddc-96bf-4943-8f65-abc1ead35a2c ro initrd=/install/initrd.gz quiet — changes to this line should work. Don’t modify the recovery lines so that you can get back should things goes south. my laptop has a AMD Radeon HD 8750M and an Intel HD 4000 beside it. Your guide was helpful for my AMD graphics card and it was detected. But when I switched from AMD to Intel through Catalyst GUI and reboot, the Catalyst GUI didn’t work anymore. My question is: Is threre any way to switch back from Intel to AMD? There was a problem initializing Catalyst Control Center Linux edition. It could be caused by the following. No AMD graphics driver is installed, or the AMD driver is not functioning properly. Please install the AMD driver appropriate for you AMD hardware, or configure using aticonfig. I use ATI RV710 Mobility Radeos HD 4300 series. Brilliant stuff!, what a wicked resource this website is! I’ve only just converted to Linux, I’m using Kali Linux 64bit. Every bit of information you give, is spot on, I haven’t yet had any problems installing anything with your guides, thanks very much for your hard work and efforts to bring this to everyone who wants it! Same issue as alot of other people, read all the comments, dunno why, but with the exact same usb i used to install, graphics card showed up as VMWare for about 4 installs on my desktop, yet on my laptop with a nvidia gpu, it never happened once. This is after I had ran fgl_glxgears which had worked. Now that gives me the same.. Any ideas? Ok, I have been pounding my head against my desk for 2 days now and I am about to give up and reinstall 1.0.9, but I am curious to know what actually went wrong. Yes, this is a harddrive install. I’m fairly new to Linux, so you might have to be specific. Everything went well and I got the gears running just fine but when I tried to do the aticonfig i got no supported adapters. So i tried a few things and then rebooted to see if that would help. Upon starting up, I got a black screen where no X windows came up. So I’m currently just running in the Ctrl+Alt+F1. I have tried removing/reinstalling Xorg, gdm3, and kdm. Before rebooting, my system claimed that my graphics was a VESA, I can’t remember the next word but it started with a G and was about 8 letters. I think my issue was in the Xorg.conf but it never was in my X11 directory. I moved a xorg.conf.new from my root directory into the X11 and renamed it xorg.conf.bkp and rebooted but that didn’t work either. Furthermore, now when I run an apt-get update it keeps running through the same amd64 and translation headers every time. Like I said, I can easily reinstall, but this has forced me to learn quite a bit so far and I hope to reach the light at the tunnel without it being a train. Upon further digging, my laptop model supposedly came with an Radeon R5. Currently I can only boot into Recovery mode and internet does not work there. Second. I’m brand new to Kali 1.09 and this is very discouraging. I followed the steps 100% and now my screen just goes dark upon startup. I’m probably just going to reinstall and avoid using the drivers until I really need it and have a bit more experience. Hi! i hope you are doing very well? I had wanted to know if this will work on an AMD+AMD switchable display VGA’s because I get an error about trying to install incompatilbe driver. And it’s clean dual boot with Windows 8.1 install. You can only use one graphics card at a time. Switchable graphics doesn’t work too well. In your case, I guess you can try to disable 1 card in bios and then install driver. Oh okay but unfortunately, my BIOS doesn’t support the function of disabling 1 card :( What do I do then? Thank you for your reply though. Vmware doesn’t need or supports graphics adapters. A virtual graphics card is used to emulate display instead. so if I wan’t to used the extra GPU power for pyrit i have to run kali linux via a live usb or a hard disk install? Both works. USB instalation is bit tougher. But you only need to succeed once. This will not work on a virtual machine, correct? Correct, GPU driver’s are for HDD installations only. Not getting login screen after rebooting. I have also tried to install from the sdk from amd download center. but it’s GUI is not readable in my kali linux. Great tutorial, except I have one problem. I have a hybrid Intel/AMD computer, and Kali is installed to my hard drive, so I SHOULD be able to use them both, I did the above tutorial and it was still using the Intel card. So I tried to install AMD Catalyst Control Center for Linux. It gives me an error saying fglrx is already installed and I should remove it, which I tried, but to no avail. Any help? But this doesn’t give me that. Thank you it works fine!!!!!! i m on kali with an Ati 6970.
thanks for all your guides, they helped a lot. Unfortunately, after the last upgrade of Kali to 1.1.0 and Kernel 3.18 I had problems with the ATI driver again. So I tried to remove the driver and reinstall it from the kali repos. They failed at building the DKMS. The same happens if I download and try to install the driver from the AMD web site. It fails with “[Error] Kernel Module : Failed to build fglrx-14.501.1003 with DKMS”. Nevertheless it still works if I boot with the 3.14 Kernel. Does anybody has experienced the same problem? Used these instruction on a HD 5450 and it worked like a champ. Much appreciated. Had tried to use the linux driver from the AMD site. It worked to some extent, but the xorg control center would not work. Now I have great resolution, the control center works….life is good. Thanks again. but I can test and I take result like your pictures. 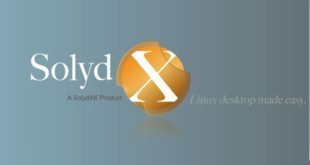 Any news about fglrx on kali 1.1.0 with kernel 3.18? I would also like to know that! and you are done .. I have a hashcat-disk used with ubuntu 12.0.4 server and 3pc R9 290X + a old 6970 card. Works fine, but…. I’m really into Kali 1.1.0 right now, is it possible to use fglrx and Catalyst in the latest Kali? Thank you @blackMORE Ops . I was able to install AMD HD 7600M driver on my Kali 1.1.0 with Kernel 3.18. Its this same situation on Kali 1.1.0 !!!!! Thanks Sir. You solve me problem. It looks like some other folks are getting some of the same errors, hoping someone smarter than me is able to dig into this and see what’s going on. The artcle is complete and easy to follow. You possibly installed an older Kali distro. You need to update, upgrade and dist-upgrade. Then apt-get install linux-headers-$(uname -r) will work without any issues. Finally installed it successfully.. Thanks a lot man.. Does it have to be Kali Linux 1.0.6, or can we use the latest one 1.1.0? 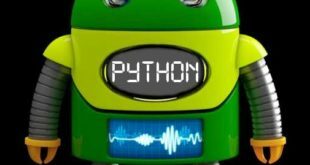 Sry for this stupid question, i am new on Linux, i am still learning stuff. Yes, this works on 1.1, I just installed it on my machine. I had to run aticonfig –initial -f, then update grub and reboot before doing the test. worked fine! Is their a way to get this working in kali? So far this site is the only one worth anything when trying to get kali to behave rationally. Any help is appreciated. Could it be a header issue? I have a hand cap file, but I can’t install AMD Radeon driver ( it’s say doesnt support my device). Could you please help me to decode this? I did as the tutorial said on kali 1.0.9a. And it worked great. Then after a dist-upgrade and upgrade to 1.1.0 the whole screen is lagging. it’s slow, really slow. I followed the steps in this tutorial again but it didn’t work. Im getting this error “aticonfig: No supported adapters detected” when running this command “aticonfig –initial -f” what do I do? Hi, blackMORE Ops. Thank for your great job and please, help. After all points in this manual i dont see my graphic card ATI Radeon R9 200. system – Kali Linux 1.1.0. after reinstall system i see it but still some time or after reboot its appear. What the problem? What can i do? Hi blackMORE Ops, uber noob here. I’ve followed your instructions exactly, however when I get to the ‘leafpad /boot/grub/grub.cfg’ step it opens an empty file. Upon further research it seems that there is no grub.cfg in my file system. I’ve tried all I can to get it to work but no luck. I’m using a USB install with persistence. Will this work on Kali 1.1.0? I’m getting the same issue where I follow all of the steps but the gallium/mesa driver is still present. There were no pop ups during the install like you describe. I’m also not finding a detailed how to on how to remove the mesa drivers and purge the AMD packages and start over. If it helps I’m trying this on a Dell Latitude E6540. It has a hybrid of an AMD 8790M and an Intel GPU. Same here :( i have 6630m in my laptop . Can you please write an article on how to install AMD ATI proprietary fglrx driver in Kal sana ? I want to use my AMD Radeon HD 7700 Series on Kali 3.18.0-kali3-amd64 for cracking hashes with pyrit. A year ago, I tried to install the appropriate drivers, but eventually I got no further. Can someone give me help?